Tarot cards have had a place in human society for a long time, at least five hundred years and probably a lot longer than that. Their beginning is obscure and unknown. The tarot cards represent the obstacles and growths that each person must endure along the path of life. Reaching the end of a cycle is not the end but a return to the beginning, to be repeated with new obstacles and new challenges. Tarot decks are normally divided into two sections, the major arcana and the minor arcana. The major arcana represent stages and major influences on each stage of your journey. The minor arcana represent the separate facets of each stage. They are aids to understanding what is occurring or why something has occurred. 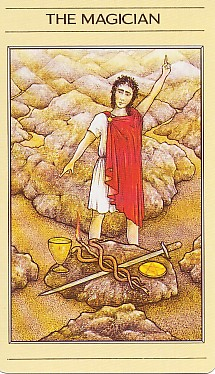 The second card of the major arcana is "The Magician". When "The Magician" appears in a spread be ready for a change. "The Magician" represents creative possibilities and the energy and intuitiveness to make things happen. If "The Magician" is reversed it can be a warning against the abuse of power or people. It can also represent the inability to get going with a project. The third card of the major arcana is "The Empress". 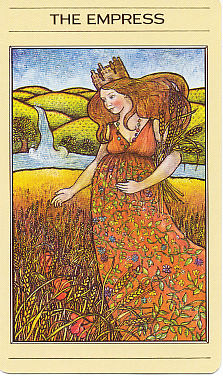 When "The Empress" appears in a spread it is the beginning of a more earthly phase of life. "The Empress" represents the bringing forth of something that will require nurturing of the mother. Whether it be a marriage, birth of a child or the birth of a creative dream, it will require patience and nurturing. Be ware that this earthly phase can lead to stagnancy. If "The Empress" is reversed it could be a loss of comfort, dream or money or it could be a difficult relationship or birth. The crystal shown is amethyst. In scientific terms amethyst is a purplish or violet coloured quartz. It can range in colour from dark violet to a pale lavender or almost clear. It is a semi-precious gem. Amethyst has been long known for it's healing properties. Amethyst is known to improve the production of hormones and aids in strengthening the cleansing organs of the body, the circulatory system, the immune system and the body's metabolism. Amethyst is also a powerful blood cleanser and energizer. In ancient times amethyst was used to stop obsessive behaviours, such as alcoholism. Amethyst is the colour of the crown chakra, which allows the meditator to begin to contact the higher aspects of oneself and to begin a spiritual journey to find the divine. Whenever you obtain a new crystal, you should cleanse it. There could be residual energies from other people and you want to remove those energies to make the crystal your own. A few of the simplest ways to cleanse crystals are the easiest. One of the quickest ways is to bury the crystal in sea salt. The crystal only has to be left in the salt for a few minutes. The ions in the salt attract the negative energies out of the crystals. You should also cleanse the crystal if you use it for healing. Another easy way to cleanse the crystal is to hold the crystal in running water for a few minutes. Point the tip of the crystal downward and visualize the negative energy flowing out and a clean white healing light filling the stone from the top. If you use a crystal for healing or as an aid in meditation, the easiest way to re-energize he crystal, after cleaning it, is to leave it in the sun all day. Place it in a dish on a window ledge so that it sits in the sun all day. This is especially true if the crystal is used as a sleep aid. Is relieving the stress of the day in a daydream of drifting on the waves hard to do? Meditation shouldn't be a chore. You can make it as simple as a daydream, as long as you want to accomplish something. Should make time and force yourself to stop, regroup and repair the body, mind and soul? Pray to the divine, ask for guidance, if that's what you need to do, but be ready for an answer. The answer may not be what you want but it probably is where you should be heading. Losing yourself in a dream, in the sounds of nature or in the utter silence that can come from closing off your senses is a good thing for the soul to do at times. Our lives have become so load, so busy and so complicated, it's hard to believe that something as simple as meditation can make you feel so much better about yourself and your life. At the beginning of your meditation decide on the course that your meditation will take. Are you stressed at work or at home or do you just feel out of sorts? Having a specific concern in mind you can sometimes help prevent stray thoughts from entering in and distracting you. Once you are comfortable it may help to visualize a threshold of some kind, like a door or a gate. You may find it helpful to rephrase your concern. This will help focus your thoughts and energies and make your meditation more fulfilling. Visualize whatever will help you take your meditative state deeper. You can decide that you will walk a path, float on a raft in a stream, float on the clouds or whatever feels right for you. Your course will reveal itself a little more each time that you meditate. Don't rush the result. They will come in they're own time. 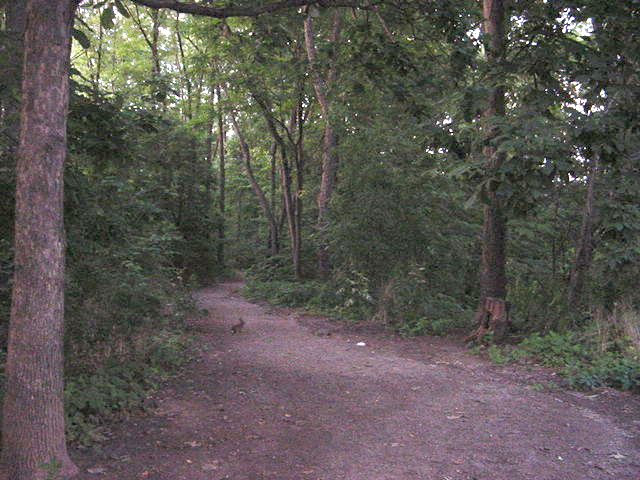 At the end of your session, cross the threshold again and slowly return to the here and now. Feel the room, your seat, the sounds of your current life and what's important in it. Don't rush to rejoin the world, it will be there when you're ready. Think on one thought only and if your mind begins to wander gently return the train of thought to the original idea. I will fill my heart with the peace of meditation. I will pour heartfuls of my joy into peace-thirsty souls. By Paramahansa Yogananda, "Metaphysical Meditations"